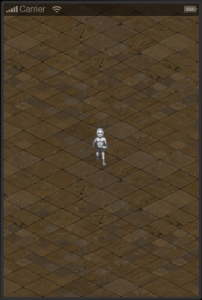 Nothing spectacular here, but it will make testing a lot easier, and will eventually grow into a proper content-creation tool. 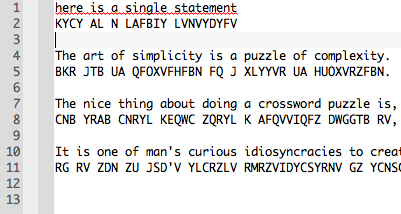 It’s almost usable as such as-is, but I want to add in some heuristics for estimating (and perhaps even adjusting) the difficulty of the resulting cryptogram. 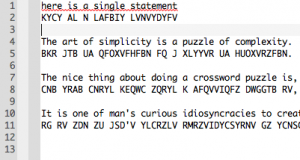 I recently started work on a mobile game for Android and iOS using the CoronaSDK (which I’m loving so far), and one of the mechanics in the game is the solving of cryptogram puzzles.